This post is the first post of “WeChat Is Maturing”. In this post, we will explain how WeChat is maturing and getting harder to acquire users. On our second post, we will give a specific example of a foreign company using other Chinese social network for growth hacking. Born on January 21, 2011, WeChat now boasts 846 million monthly active users and is unquestionably the number one platform to consider when entering the China market. However, with slowing user growth, it is quickly becoming a red ocean with companies fighting harder to attract customers. “WeChat used to be an easy way to acquire users. It’s now much harder to get users to follow a WeChat public account. They are overloaded with great content and spam marketing content. WeChat is maturing,” says William Bao Bean, managing director of Chinacelerator, an accelerator based in Shanghai. 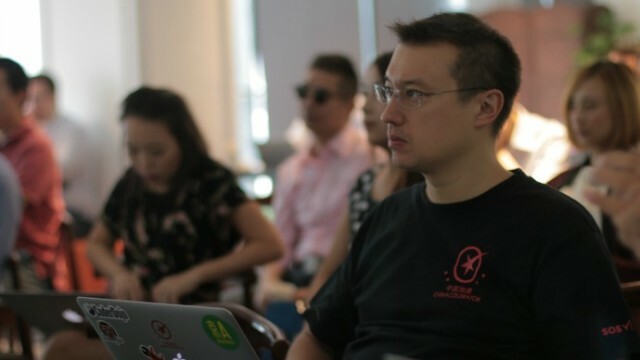 Aiming for “user acquisition cost zero,” Chinaccelerator has experimented WeChat public account as a marketing tool for its fresh born startups on Batch 10, leveraging high quality content, growth hacking, and conversion. William was the first one to tell TechNode the phenomena of startups leveraging WeChat to slash marketing cost last year. However, more recently, he says that putting all your marketing focus on WeChat could be risky. Instead of solely relying on WeChat, each company in Batch 10 companies used 10 to 15 different platforms, including Miaopai, Douban, and Zhihu to acquire users. Fashion e-commerce startup Fashory, from Chinaccelerator’s recent Batch 10 used 12 Chinese and international social networks, including Baidu Tieba, Keep, Momo, Facebook, and Snapchat to attract users. “WeChat is a closed network, meaning, you need a lot of friends to effectively expose your business. However, when you see other Chinese social networks, like Douban and Zhihu, it’s open platform, and you can get instant exposure,” founder and CEO of Fashory Emmy Teo said. Fashory made 250,000 RMB (36,000 USD) in sales, with over 500 transactions in the fourth week of November. Yet, even with all the challenges and barriers, WeChat remains the best platform for customer engagement and monetization. “One follower’s purchase rate can be as high as 4%. It’s very high compared to Facebook whose monthly conversion is close to 0.03%,” William says. Fashory used the traction gained on other social networks to drive traffic to their WeChat store and make sales conversions there. “When you use a website link, people are unlikely to come back to your website. However, WeChat is easier to retain customers, because it takes time for people to unfollow an account,” Emmy says. In fact, Chinaccelerator’s Batch 10 startups have shown even better traction than the previous batch startups in leveraging WeChat public accounts. “The size of revenue traction changed greatly. Previously, we were happy with from 500 USD to 10,000 USD sales a week by the end of the last Batch 9,” Willam says. In the last month of Batch 10, the startups recorded 247 ticket with 1.1 million RMB (158,000 USD) in total revenue, a 250% increase since they started in August.